2nd Week of Second Grade! Wow! 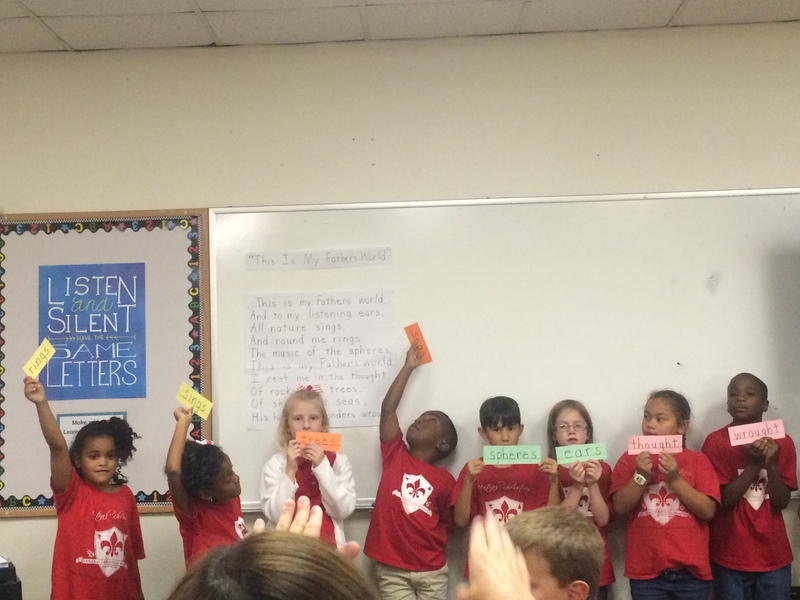 We had such a fun week learning in 2nd grade. 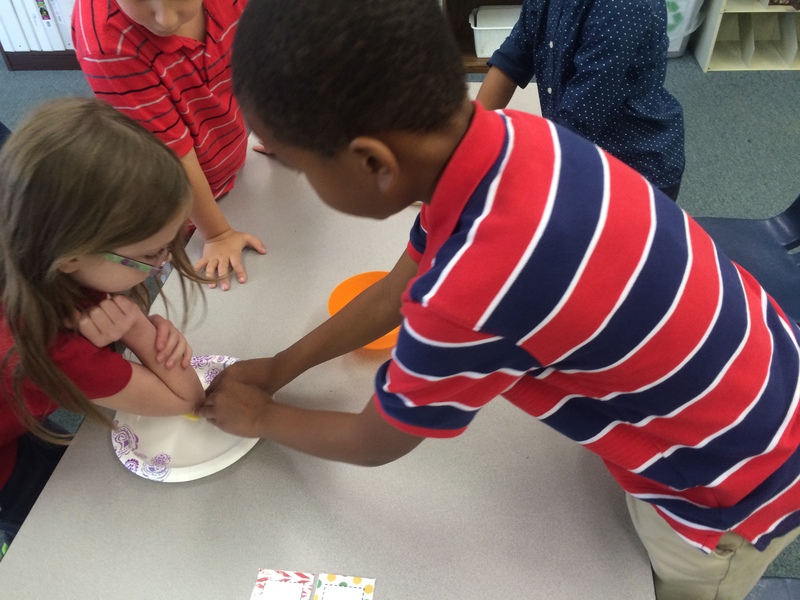 In science we were able to conduct TWO experiments to help us learn the process of the scientific method. In our first experiment, we used Gummy Bears. We had 4 liquids; water, baking soda, vinegar, and salt water. 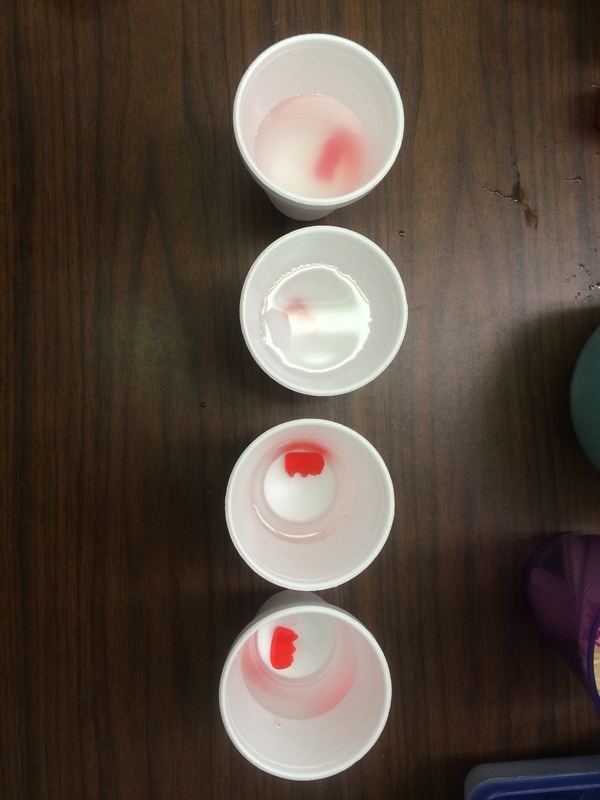 We placed a red Gummy Bear in each liquid and let them soak for 24 hours. When we came back to next day, we were all surprised at how weird and cool the Gummy Bears looked. 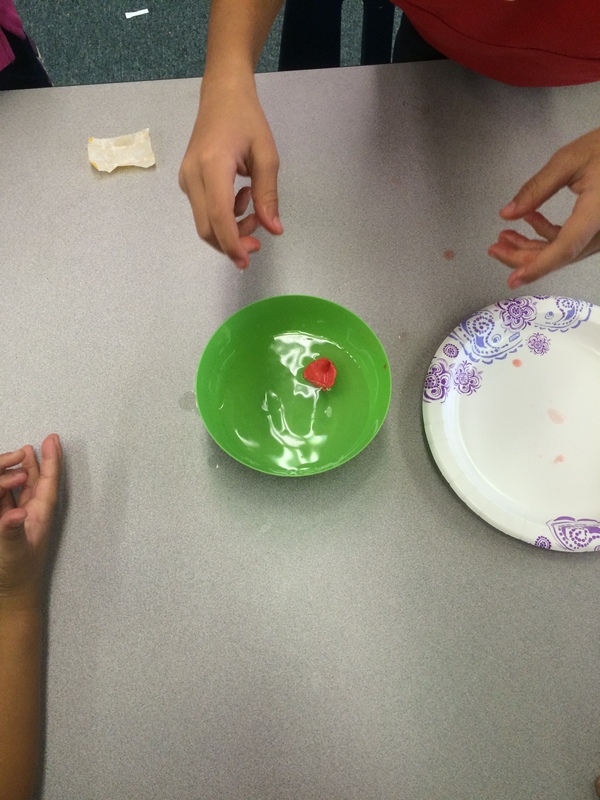 We learned that in water the Gummy Bear became bigger but lost a lot of its shape. In baking soda the Gummy bear begin bigger and kept its shape. In salt water the Gummy Bear became much smaller. In vinegar the Gummy Bear looked to be the same size but had lost its shape. We all became so excited about how the Gummy Bears changed, that I forgot to take a picture of them 😦 . In our second experiment, we used Starburst. 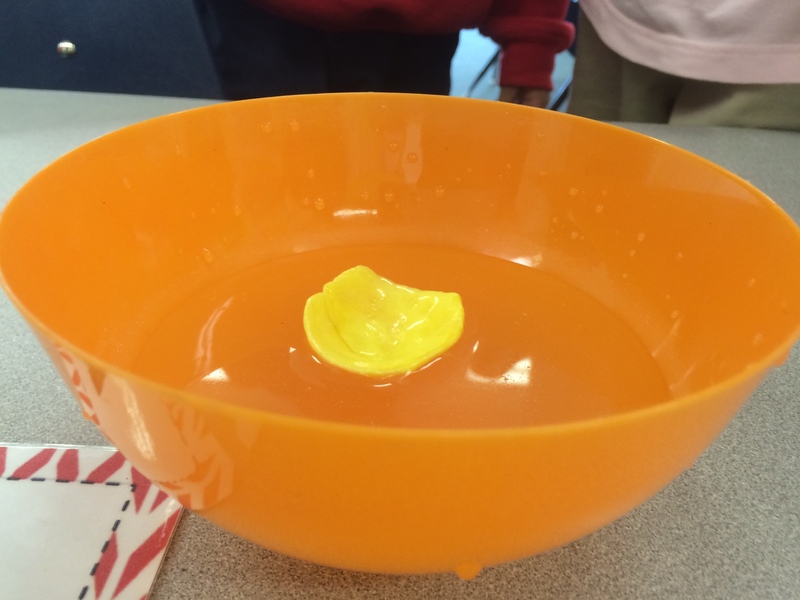 Our purpose for this experiment was to see if we could get a Starburst to float. At first, we found this experiment challenging. However, after putting some elbow grease into it we were able to reshape our Starburst and find just the shape we needed. 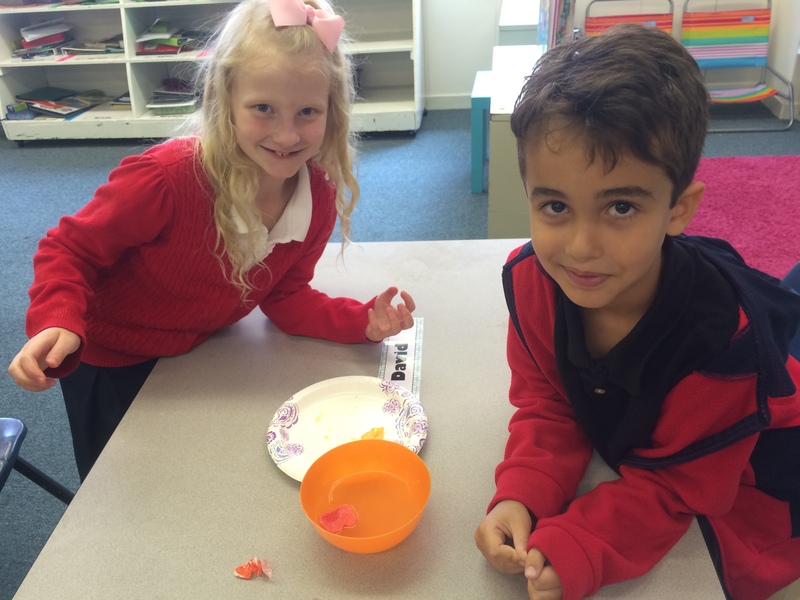 We found that our Starburst had to be shaped like a boat in order to float. 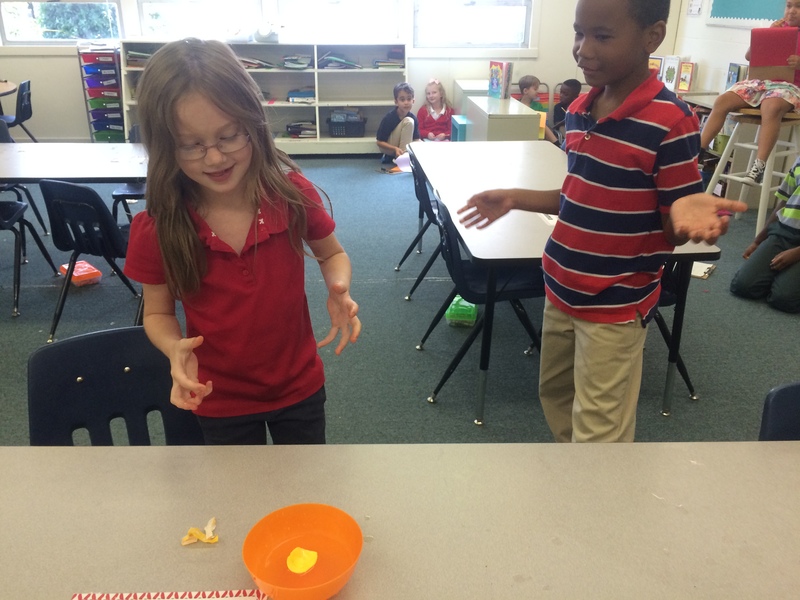 Every group was able to get a Starburst to float. One groups Starburst floated for 20 minutes! 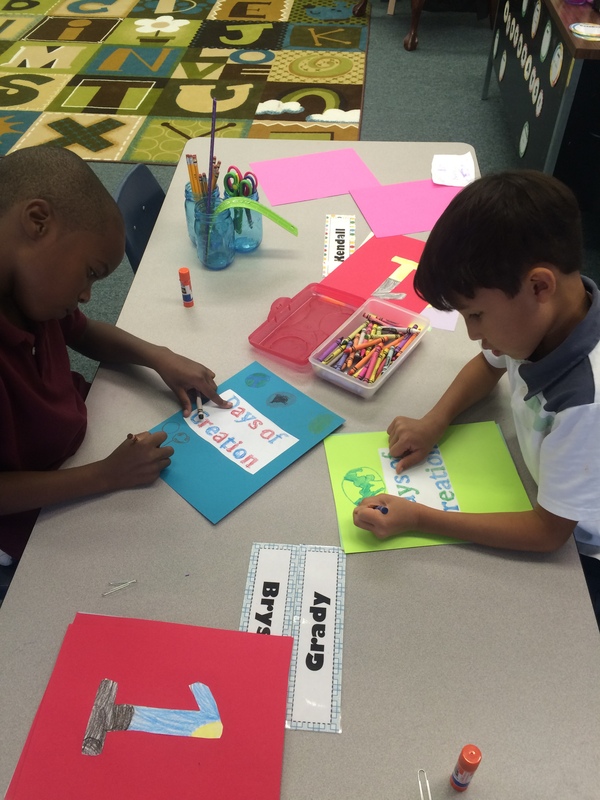 In Mystery of History, we wrapped up creation and completed our creation booklets. We then began to learn about Adam and Eve. Most people know that Adam and Eve disobeyed God, but we got to dig deeper into Adam and Eve. We learned that through their choices, sin entered the world. We also learned that God created Adam and Eve in His very own image. Each and every one of us are special and uniquely made by God. 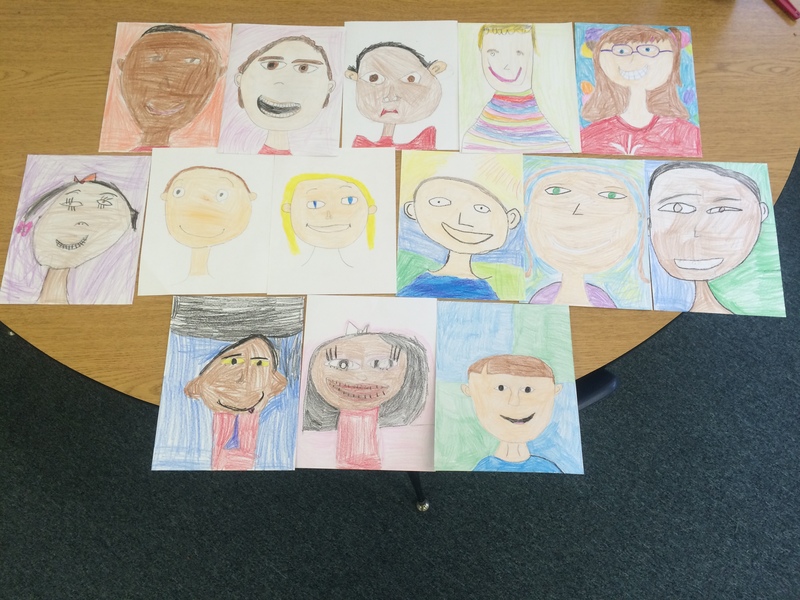 We created self-portraits that show just how unique and special God made us. Can you find your Saint’s selfie? Art and music were a blast this week too! 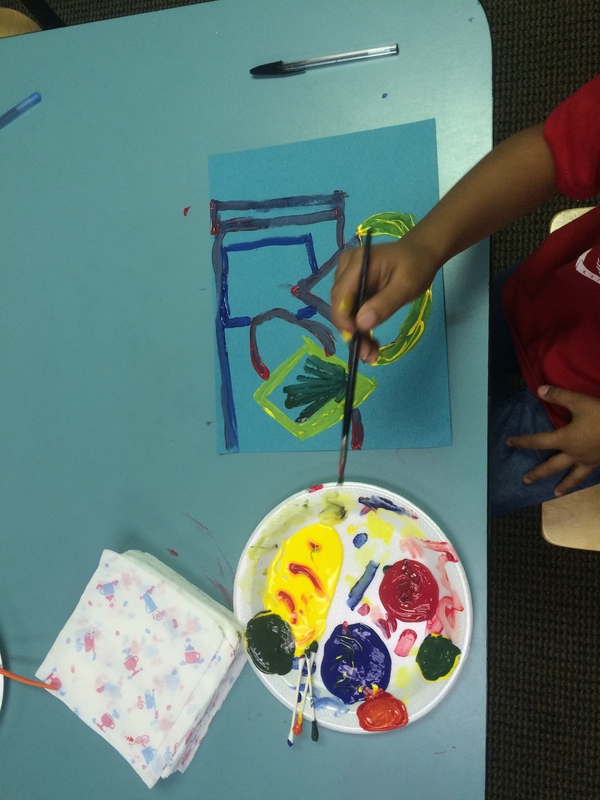 In art, we discovered primary and secondary colors. We learned that blue, red, and yellow are our primary colors and when they are mixed together, we get secondary colors! We used our knew knowledge of this to create primary and secondary color geometric shapes. 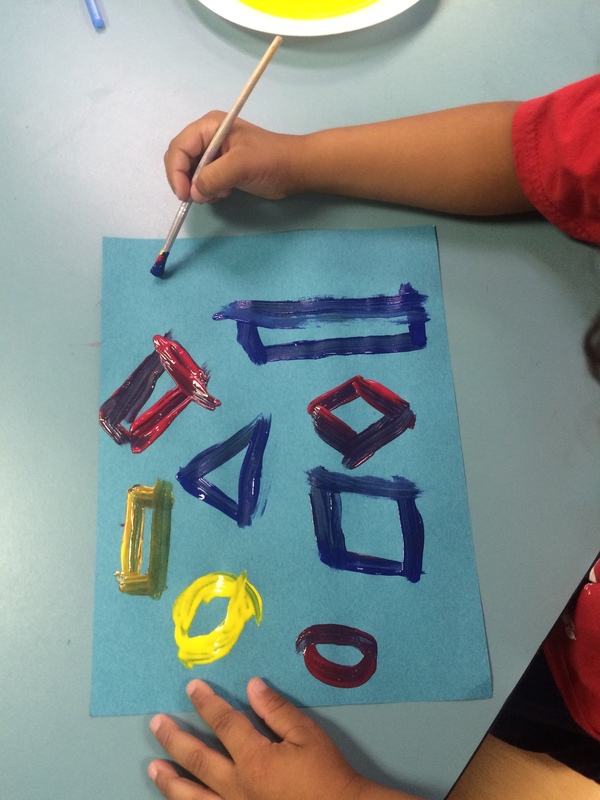 For the outline of our shape, we used a primary color. We filled in our shapes with the secondary colors we created. 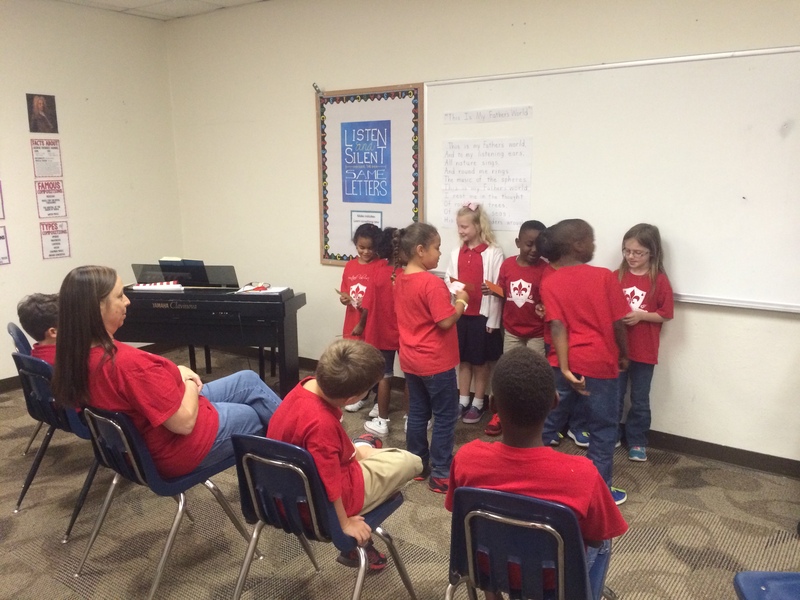 In music, we continued to work on “In My Father’s World”. 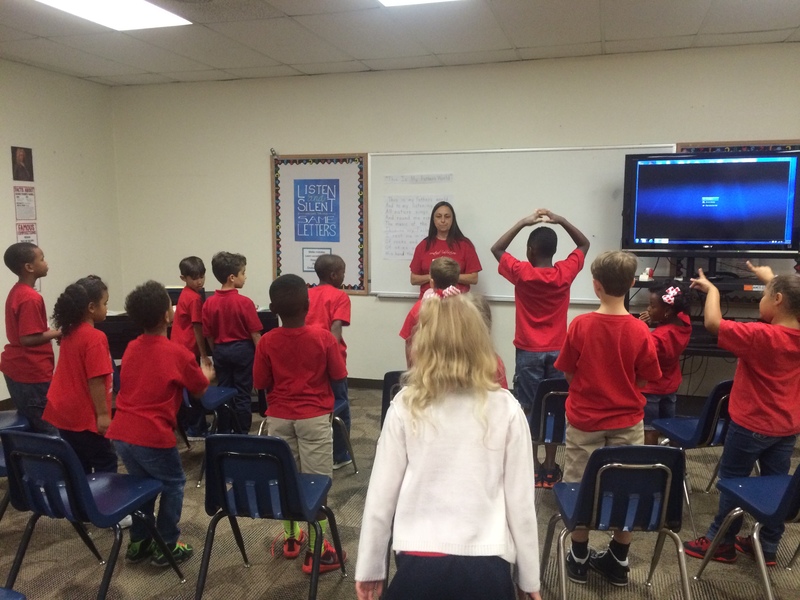 We also discovered songs that rhyme are just like poems! During music we played around with the rhyming words in our song and discovered the rhyme scheme. We can’t wait to see what next week holds! What happens when gas or a fluid is trapped inside a rock?